It seems this week is great for Verizon users with respect to Samsung Galaxy devices. If you are using any of Samsung Galaxy Note 4, Samsung Galaxy S5 or Samsung Galaxy Tab S2 on the largest network in the U.S., there is some really good news for you as the wireless carrier is now pushing Android 6.0.1 Marshmallow update to these devices. Just this week, those using Samsung Galaxy S5 received Android 6.0.1 Marshmallow update, a few days after T-Mobile had availed it on the 2014 flagship. The new update brings firmware version G900VVRU2DPD1 and it brings things like Verizon’s Wi-Fi Calling, new app icons, Ultra High-Quality Audio as well as Marshmallow related features such as Doze, enhanced control over apps permissions and Google Now on Tap, among other regular bug fixes. 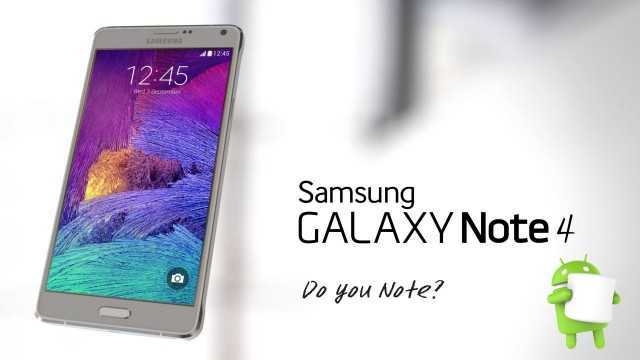 Samsung Galaxy Note 4 has now followed this rolling out of Marshmallow updates on Galaxy S5 and it brings version N910VVRU2CPD1, an update that brings similar features as to what those on Samsung Galaxy S5 will be receiving. This is great news for those using the 2014 phablet as the update has now been available for quite some time since Samsung availed it. The update’s coming to the Galaxy Tab S2 makes it the first Samsung tablet to receive Marshmallow on Verizon. However, it might also be the last of Samsung’s current tablets on the network to be updated with the OS. The update brings the tablet’s firmware version to T817VVRU2BPE1 and it can be downloaded via an OTA update. Just like with the case of Samsung Galaxy Note 4 and Galaxy S5, the Verizon-based Samsung Galaxy Tab S2 will be receiving all the key Marshmallow features, among them Doze, Now on Tap and enhanced control over app permissions. The new version also adds new functionality to the email and gallery apps. In case you haven’t seen the update on your Verizon-powered Galaxy Note 4, Galaxy S5 or Galaxy Tab S2, you can visit your device’s Settings>About device>Software update and manually check for its availability. Previous Previous post: Samsung Pay Launched in Spain as KFC Starts Accepting Mobile Payments in the U.S.